Blast it. Bare it. Strip it. 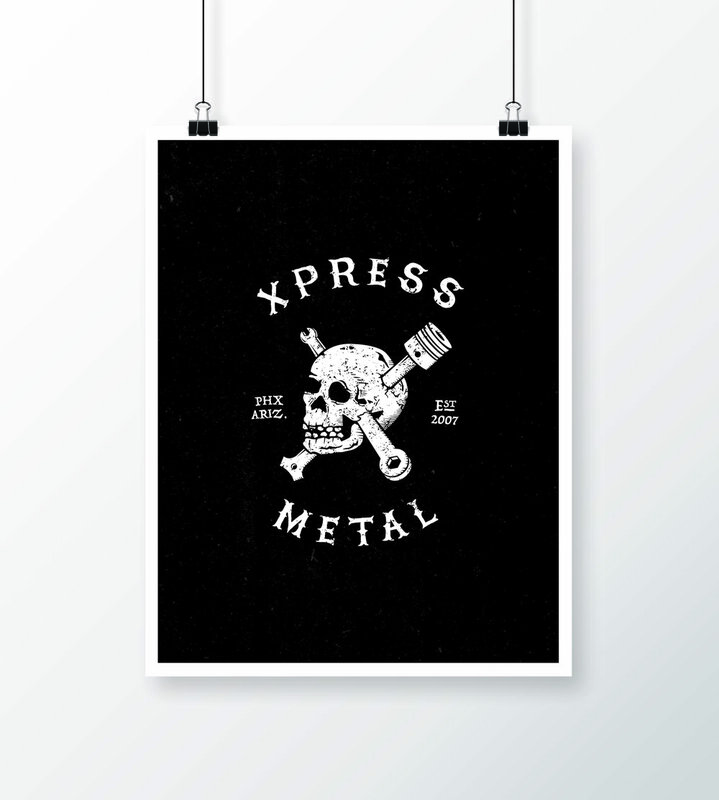 That’s the Xpress Metal mantra. Phoenix’s locally owned and operated metal cleaning business wanted some fun and graphically appropriate designs to sell to the metal loving crowd.